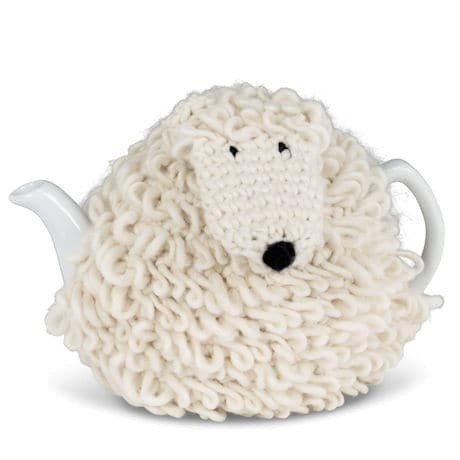 Cutest tea cozy ever. 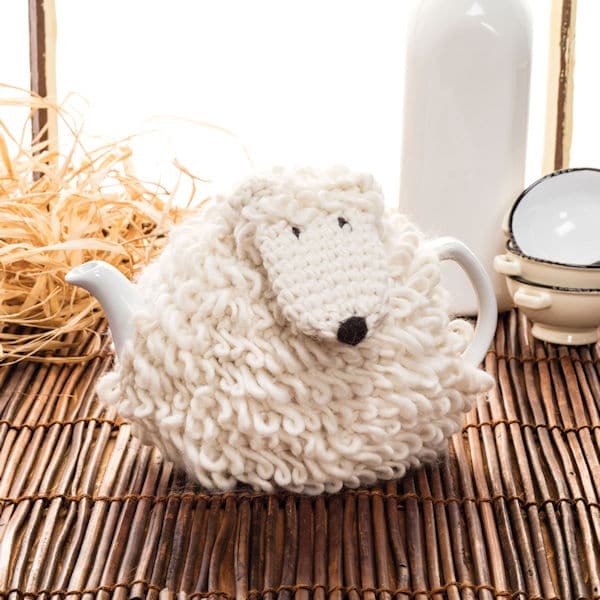 From his loopy fringed fleece to his little black nose, this sheep will never fail to make you smile. 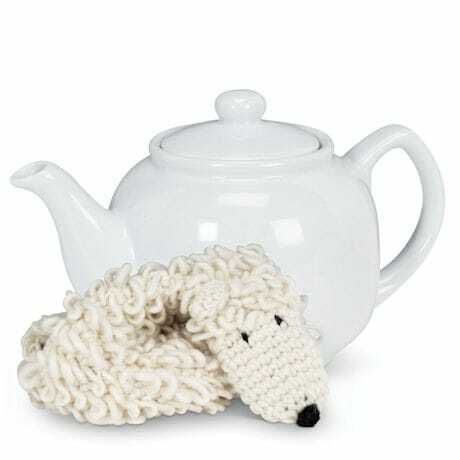 You'll probably start drinking more tea, which will stay warmer longer thanks to cozy. 100% acrylic; comes with a classic white 40-oz. stoneware teapot. 9"w x 6"h x 6"d.